Latest James Bond movie Spectre will have its world premiere in London on October 26, Sony Pictures has announced. “For the first time ever, the film will open on the same night at cinemas across the UK and Ireland,” said distributor Sony Pictures. Spectre, directed by Skyfall‘s Sam Mendes, is out in the US on November 6. Daniel Craig is playing 007 for the fourth time in the movie, which also stars Christoph Waltz and Lea Seydoux. Other cast members include Andrew Scott, Naomie Harris, Ben Whishaw, Dave Bautista, Monica Bellucci and Ralph Fiennes. The plot involves “a cryptic message from Bond’s past sends him on a trail to uncover a sinister organisation”. 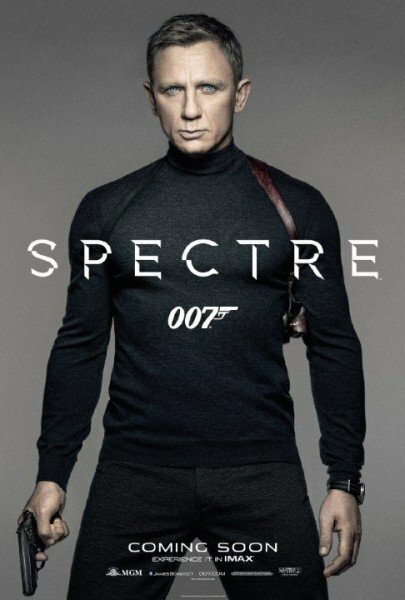 Spectre‘s UK release was originally set for October 23, with the date then being put back to November 6. The last James Bond film Skyfall, released in 2012, grossed $1.1 billion worldwide.